I am writing this from our daughter Anna’s home in Maryland where I am enjoying a pre-Christmas visit with her, husband Joe, and the twins who are now 21 months old. Gerald had to remain in Texas, but the Lord blessed him through a kind neighbor who gave us a 300lb wild hog!! These animals do tremendous damage to hay fields and gardens in East Texas and although it means several days’ work for Gerald to butcher and prepare it for the freezer, it will bless us with meat for most of next year! It is another good reminder that even if things don’t turn out the way we might prefer, if we trust God we never know what additional blessing may be just around the corner! At this busy time of the year, we do want to thank all of you who have sent special donations to show your love and to bless our African partners – all of whom are very appreciative and send their thanks and Christmas greetings. I also want to thank those of you who took the time to send Christmas cards to Africa, as a special expression of your love. With all the twinkling lights, exciting Christmas parades, and fun-filled events right now here in the USA, it’s so easy to forget that in Africa and many parts of the world, Christmas is often only celebrated with a special church service and a family meal – possibly not even with an exchange of gifts! We have developed so many different Christmas traditions that I wonder if we would have such a “merry” Christmas if all the extras were stripped away! Yet surely to just ponder on the Christmas Story and contemplate the HUGE miracle of Almighty God sending His very own son to earth to show us how much He loves us – that alone gives us great joy and peace! May you all experience anew this year the life-giving joy that comes with reading once more that blessed Christmas Story! Merry Christmas from Gerald and Shirley! Pastor Honoré of C.A.R. 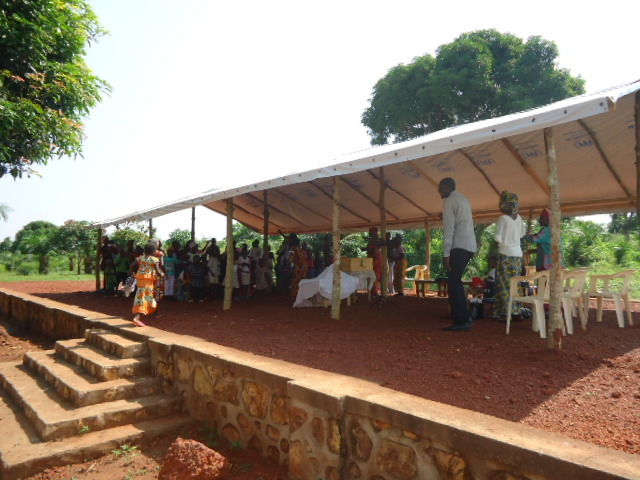 : We are very pleased to report that another supporter has provided the funds for Pastor Honoré to erect a really sturdy “temporary” building to use for Sunday services and special meetings on the CEERCA site – a GREAT improvement on the shelters they have been using thus far!! As you can see from the photos it looks much more like a “true” church building and provides good shelter from the rain. Pastor Honoré remarked that it will enable people to stay and enjoy the service when bad weather hits, and will be great for the special Christmas events he has planned and future seminars. They continue to make bricks for the permanent building and we pray that the coming year will see that vision finally fulfilled! 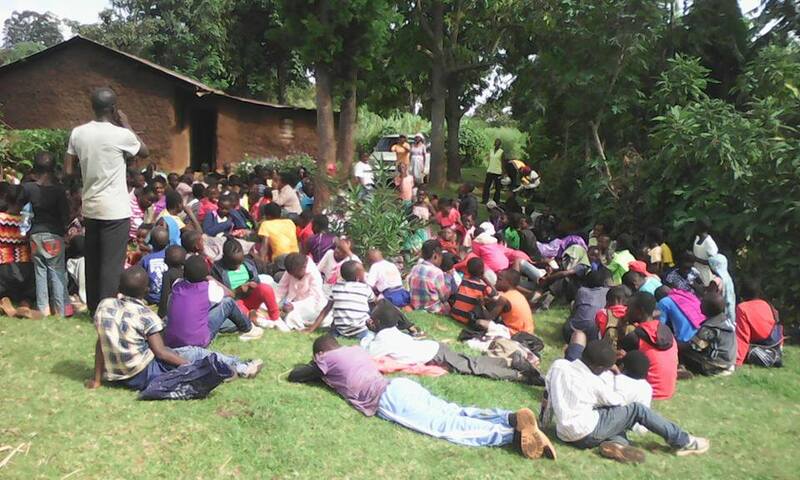 Michael in Kenya: During November Mike was very busy with several different youth and children’s camps around the region as this time of year the schools have their 2 month long vacation. You can see from the photos that they include bible teaching, outdoor games, and even going on hikes and picnics. 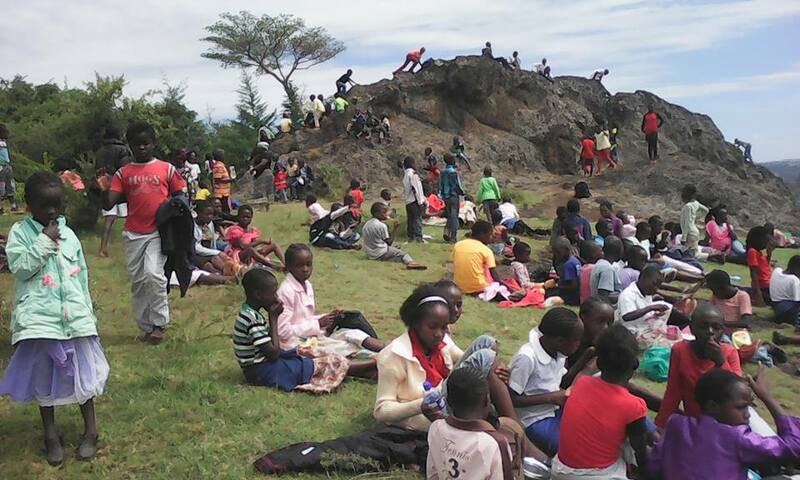 (I’m not sure that I would want to be responsible for several hundred excited kids going rock climbing!!) He has the huge annual Assembly of God children’s camp this next week so we do pray that many young hearts are brought closer to God then too. 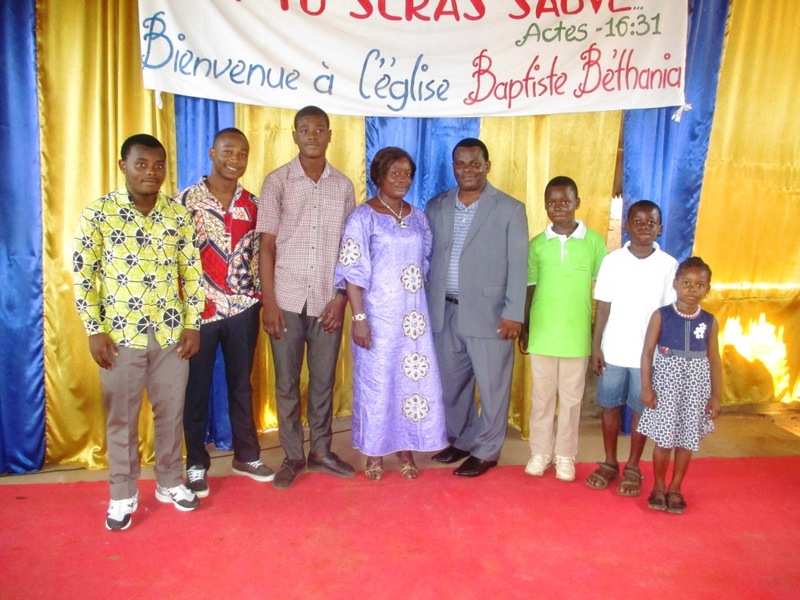 Pastor Sika in Togo: In spite of new bouts of sickness in his family over the past couple of months, he shared some great news – that a man in Lomé has made a donation of 10 sacks of cement and enough tin to cover the roof of the new building at the JP orphanage!! 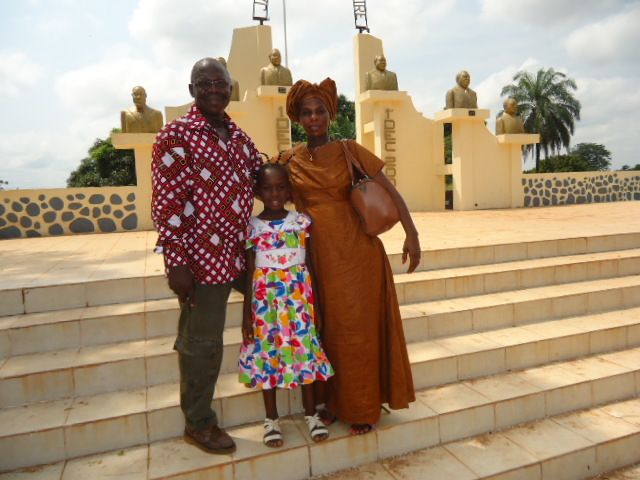 It is such an answer to prayer that the orphanage is finally getting some local support there in Togo as well. We pray that God will soon provide for the remaining needs of plastering, painting, ceiling, windows and doors – the estimated total around $3,000. 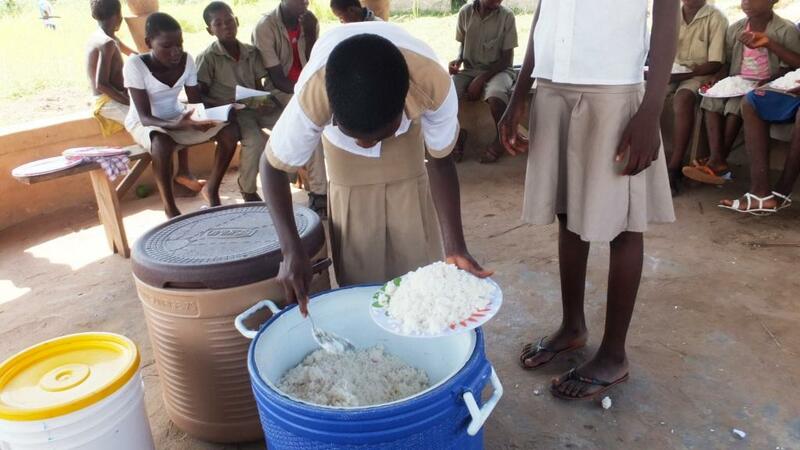 There was a good harvest this year with corn and cassava, and it is planned to continue to expand the ag project. 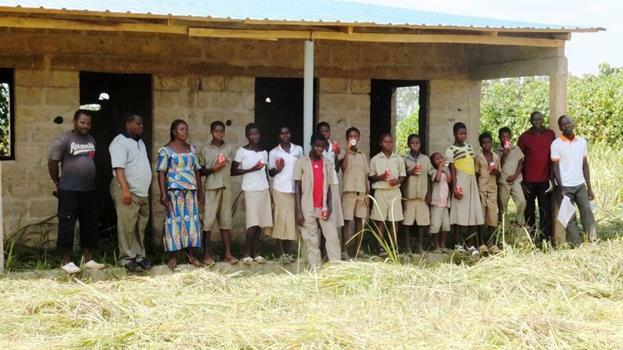 These photos above show Pastor Sika and Lucie, with the JP staff and orphans outside the new building, and some of the girls preparing a meal (note the children are wearing their school uniforms). Special feasts are planned for Christmas and the New Year, along with buying the children new clothes and some personal gifts. Pastor Sika also says that the orphanage church now plays a key role in the village. God has touched the hearts of most of the village people that were opposed to the church, and as a result they are now attending the church services at the JP. 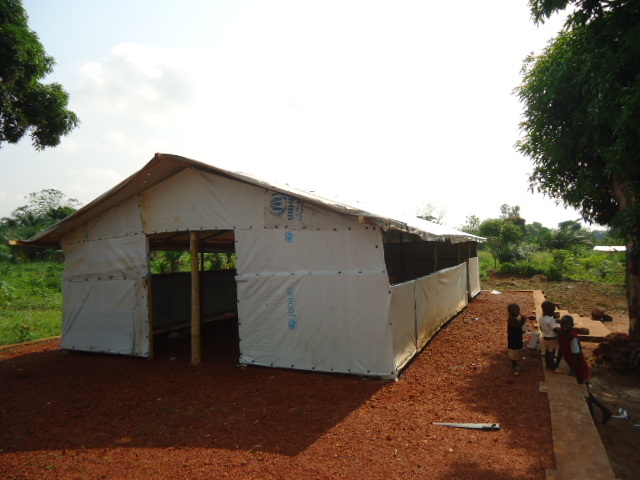 The small temporary church is however now basically falling apart and so framing pillars have been constructed for a new building and we pray for God to supply all that is needed to add a metal roof to make it usable. 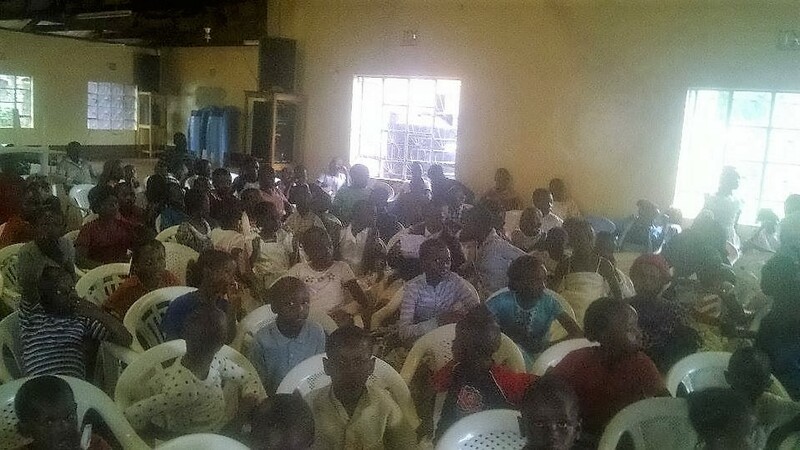 In addition, in Lomé, Pastor Sika has been very busy with some visiting American missionaries who taught a seminar for church leaders, and he has spoken in churches and schools about the importance of getting more children and adults involved in studying the Bible. We will share more from his detailed update soon, and we pass on his family’s Christmas greetings to you all.